A new research report by Sarah Clark, editor of NFC World, sets out the current state of play in the international NFC market, explains the critical factors for success, identifies the issues that remain to be resolved and analyses the opportunities for growth in the year ahead. The NFC Market 2012 is a new research report from the publisher of NFC World that sets out the key drivers, trends and developments that will shape this fast-moving market in 2012. The report provides readers with the latest thinking on the current status and future prospects of NFC, explains what will be needed for NFC to succeed and examines both the opportunities and potential barriers to growth in the year ahead. “Huge progress has been made towards making commercial NFC services a reality and in making NFC phones available for consumers to purchase,” says Sarah Clark, editor of NFC World and author of the new report. “It’s now clear that NFC is here to stay, that its arrival is likely to have a fundamental impact on a wide range of businesses and that there are major opportunities for those that seize the NFC initiative to gain significant market share and generate substantial profits. The NFC Market 2012 provides essential guidance to executives responsible for buying, supplying, specifying, designing or implementing NFC solutions, as well as those who are likely to be impacted in the future by the arrival of NFC. The state of play: The current status of the NFC market and the global trends in the market today. Critical success factors: The factors that will affect the adoption of NFC and the strategies that are most likely to succeed. The mobile wallet wars: The key players, the advantages and disadvantages of their strategies, the likely new entrants and the evolution of the market. Adoption drivers: What merchants, banks, transportation operators, advertisers, marketers and other key potential service providers need to enable them to move ahead with NFC, and how well their requirements are currently being met. Consumer attitudes to NFC: The issues that will affect consumer take-up of NFC services. NFC technology trends: New products and services expected to arrive on the market in 2012 and the impact they are likely to have. The future of the market: The barriers to adoption that need to be addressed and the opportunities for growth in 2012 and beyond. 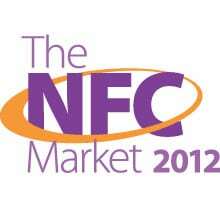 The NFC Market 2012 will be published on 9 January 2012 at a list price of £997. Reserve your copy by 31 December, however, and you can take advantage of our special pre-publication offer and order this report for only £747 (approx US$1,170/€874) — a 25% saving. Find out more here.